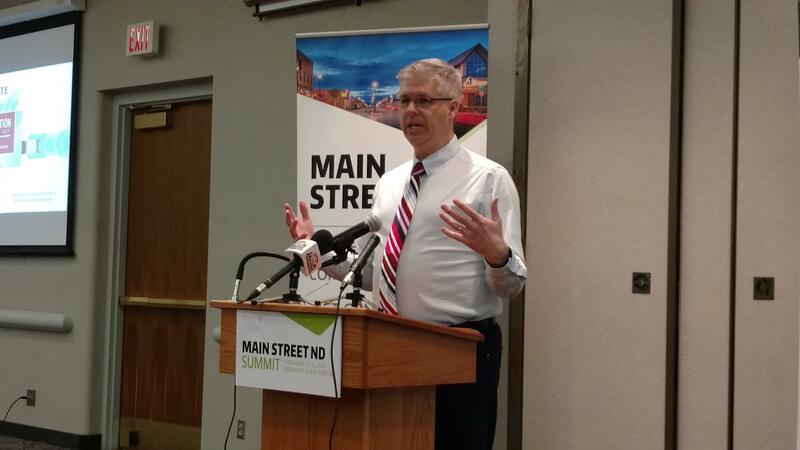 Charles Marohn, with "Strong Towns," speaks to reporters at the Main Street Summit. But Marohn said cities have found those to be – as he put it – “incredibly low-returning” investments. "We generally lose money, as a state, as a city, as a country, when we make those kinds of investments," Marohn said. He said cities need to look at making smaller investments into more lcoalized projects. "In other words, instead of one big investment, make a thousand small investments," Marohn said. "We find that each one has a much lower risk. But collectively, they have a much higher return."